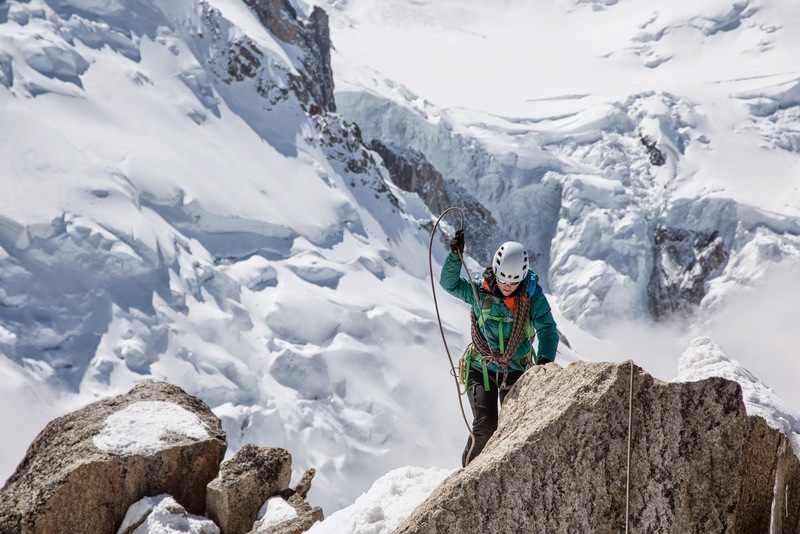 Erin Smart on the Arête des Cosmiques with the glaciers of Mont Blanc in the background. “Erin, it’s supposed to be hard, it's a hard climb. 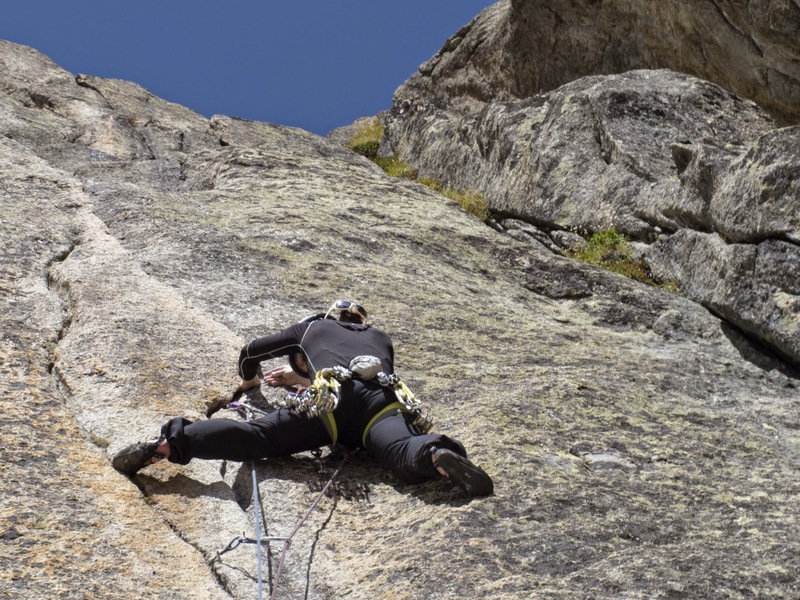 As you get better, it remains hard, the only difference is you are able to get up it.” My friend Mike told me this at the beginning of my climbing season this summer. Surprisingly simple to some, yet I had always believed that natural born climbers had an easy time on harder grades. Probably because they just make it look so easy. I took Mike’s statement to heart, and with that in mind, I have had a great start to my climbing season this year. I have been pushing my grades, falling a lot, not letting go—to the detriment of my pads, and giving it everything I have, mentally and physically. 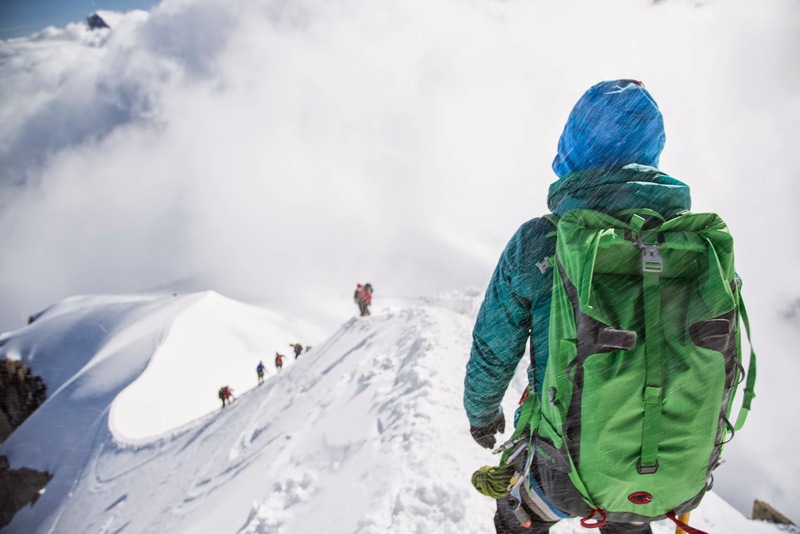 Part Deux: Into Chamonix from Erin Smart on Vimeo. My climbing has improved dramatically in the last several weeks, and I have only the fact that I was able to let go of some fears for that. Physically, I am only a bit stronger, but I feel mentally fit, something I have been working on in my climbing for years. Dave arrived from his international flight early in the morning Chamonix time. I had croissants and coffee waiting, and looked outside at the passing rainstorm. This summer had been particularly stormy, and this morning was following suit. We caught each other up on our lives over the last several months, and I gave Dave an overview of the valley over maps. The rain finally let up, but the clouds lingered over the peaks. A great half-day option is the Frison Roche on the Brevent that I was hoping Dave would be up for after his long day of travel. Not surprisingly, he rallied. 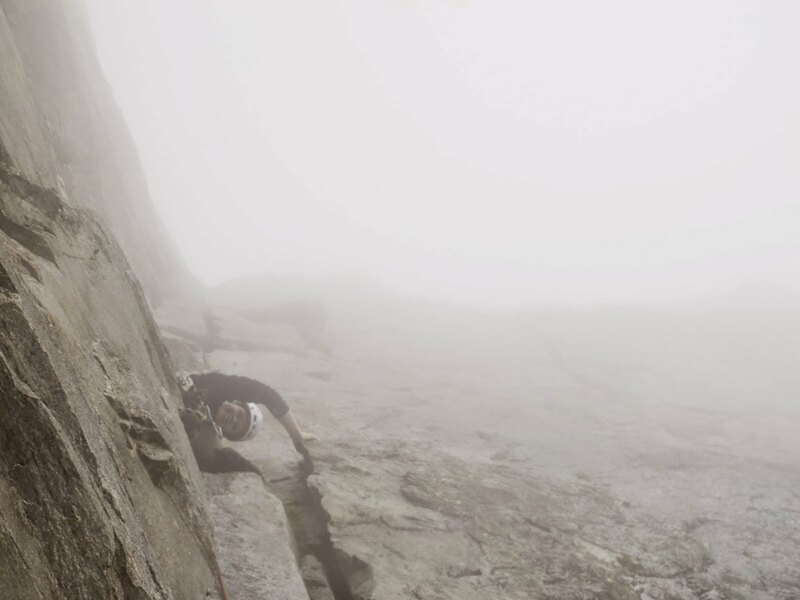 Erin Smart climbing in the clouds on Frison Roche. This was Dave’s first visit to Chamonix. As a Cascadian climber, his climbing career has never included trams doing the approach work for you. Where’s the Devil’s Club? No where to be found, only espresso waiting at the top. We arrived into the cloud of the Brevent, and walked a grueling 10 minutes down to the base of the 5 pitch sport route. I had to describe the view, as Dave joked that he could be anywhere in the thick cloud. I managed to keep my cool on the damp slab, and as we approached the crux pitch, a couple of groups had bunched up. A French guide ahead of us was taking a while, an unusual event. Trying not to psyche myself out, I ignored the grunting above, and kept chatting with Dave. My turn came, and oh yes, it was wet. Dripping wet in fact. But it was sport, and it was faster to continue so I got on with it. Near the top of the pitch was a soaking wet off-width 6a (5.10a) crack. “Well, here we go” I thought to myself. Somehow, the moves felt smooth. I forced my attention to every detail, and I made it cleanly to the top. The French guide admitted that he had pulled on gear because “Oh la! C’était difficile comme ça!” I smiled in agreement, and enjoyed my inner victory of climbing it clean in that state. We topped out, still in the cloud, and enjoyed our two minute walk to the tram. This was going to be a good week. 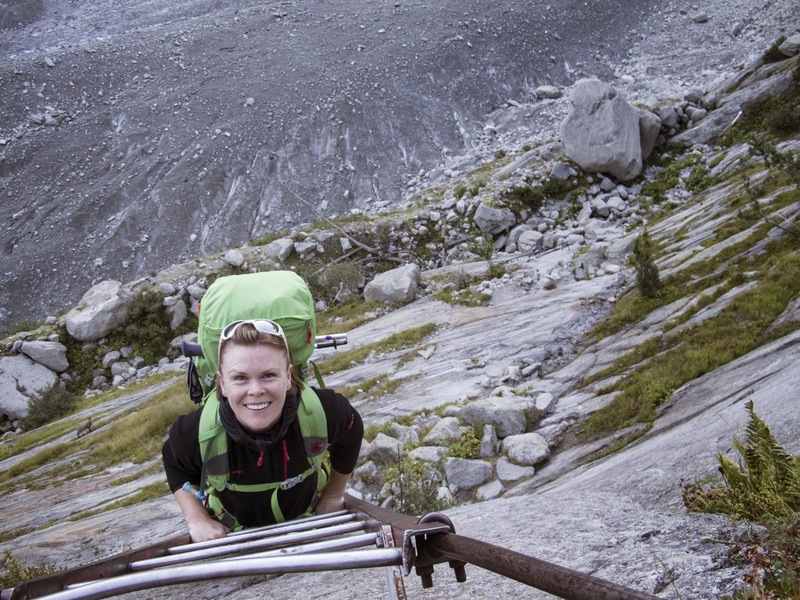 Erin Smart on the approach ladders above the Mer de Glace. We spent two nights at the Envers hut, and climbed until our skin was raw from the steep, splitter granite. David Moscowitz on the groomed alpine approach to the Envers hut, which is nestled into the granite. 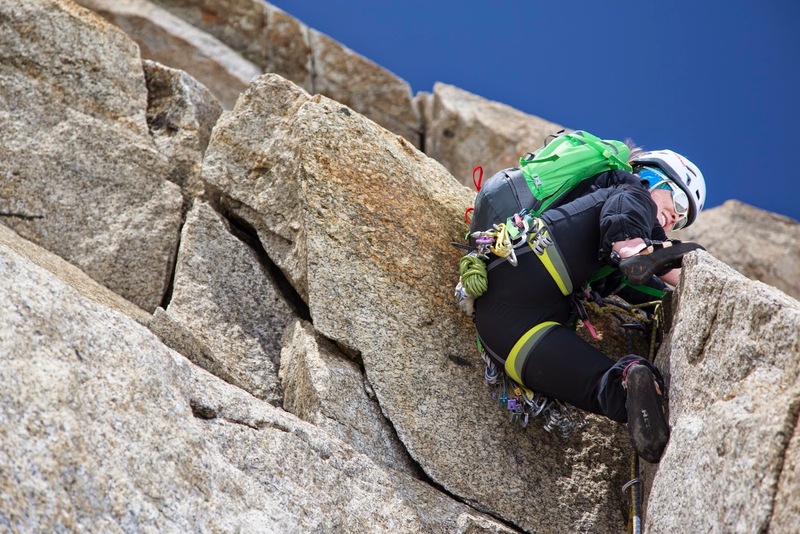 Erin Smart on the crux pitch of Guy Anne on Little Yosemite above the Envers hut. Erin Smart heading down the Arête off the Aiguille du Midi, minutes after enjoying an espresso and croissant. 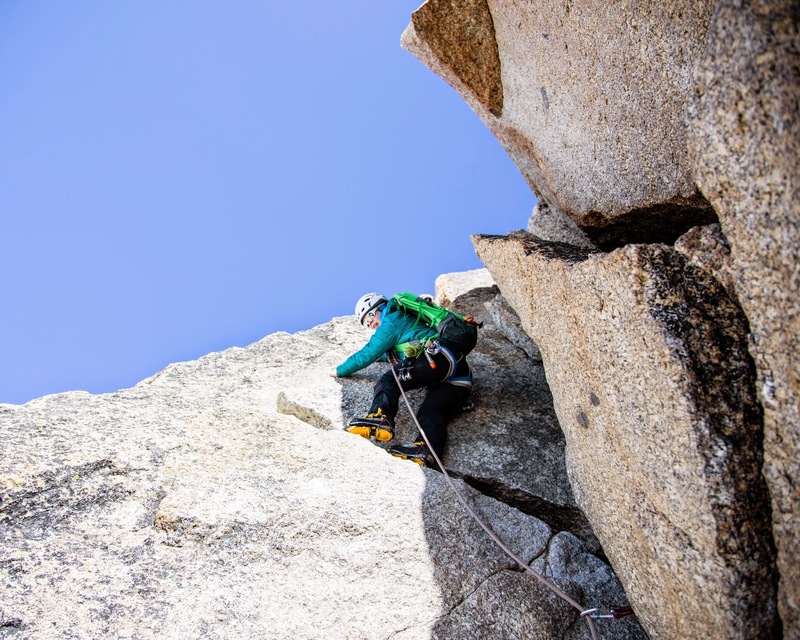 Erin Smart mixed climbing on the classic Arête des Cosmiques in perfect weather. Erin Smart climbing the Eperon des Cosmiques. It was an incredible week in Chamonix. Many thanks to Dave for being a patient belayer as I am attempting to push myself, and for being a great climbing partner! I can't wait to decide where we will go next year. Until then.